Regional Plan Association released a report entitled Accessing Nature which outlines how New York, New Jersey, and Connecticut can become leaders in connecting residents with the region’s natural beauty and recreational activities. The report recommends existing and proposed trail routes to be prioritized and built to create one of the nation’s largest regional trails networks. The system would make trail access more equitable, putting over 80% of the region’s current residents within two miles of a trail and facilitating access to 141 local, state and national parks or preserves by joining the region’s trails into a continuous network. 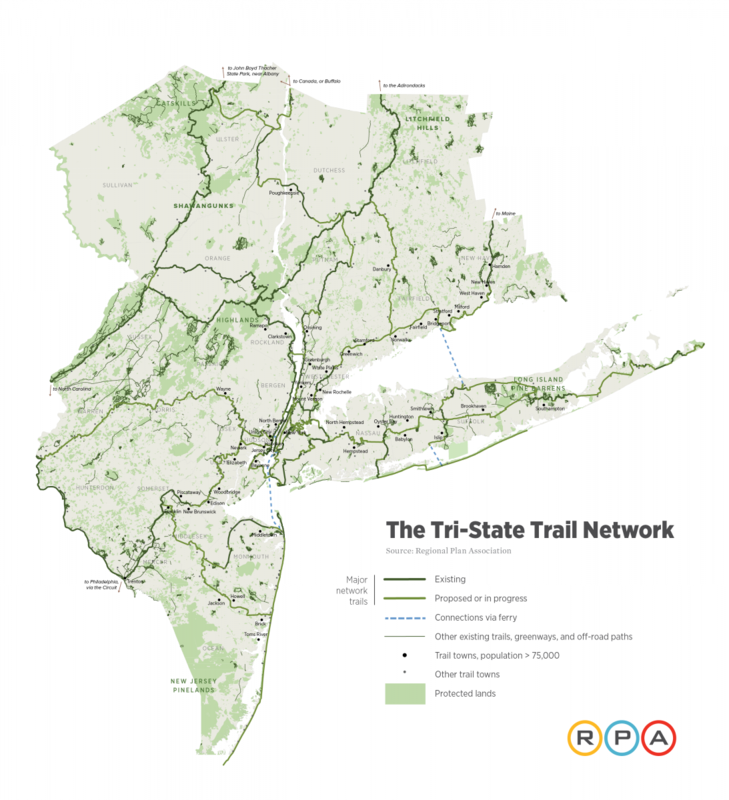 Open letter from 22 leading trails, hiking, biking and walking, land trusts and environmental groups supporting the Tri-State Trail Network. "Creating a Regional Trail Network is a bold, new strategy that will have a lasting impact on the region’s environmental and economic future"